Next week I’ll take the 210 to the 2 to the 5 to the 110 to the 105 to the 1. Then, I’ll hop on a plane and head off for an almost three month festival of lucky-swine Alpine writing workshop followed by a slow paced mountain and/or continent conquering aimless wander. I am excited and humbled beyond expression at the particular path my life is currently following. What I can articulate is an acute awareness of just how much a product of my environment I am. It takes a special place to nurture the intense level of fantastical self creation and belief required to become a disabled lady adventure writer. Last weekend was spent saying a nostalgic farewell to friends and places that I don’t see nearly enough as it is. 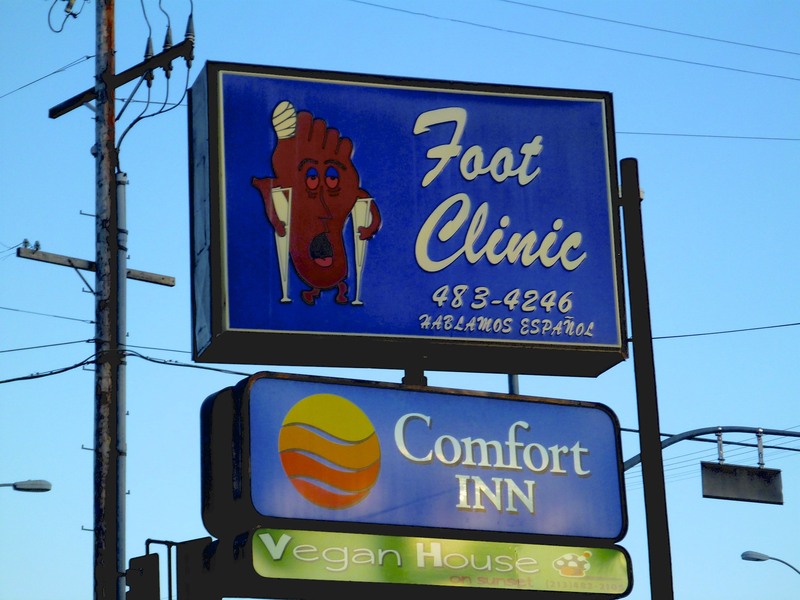 An afternoon drive past the Foot Clinic sign to determine which way the fates would have me go. 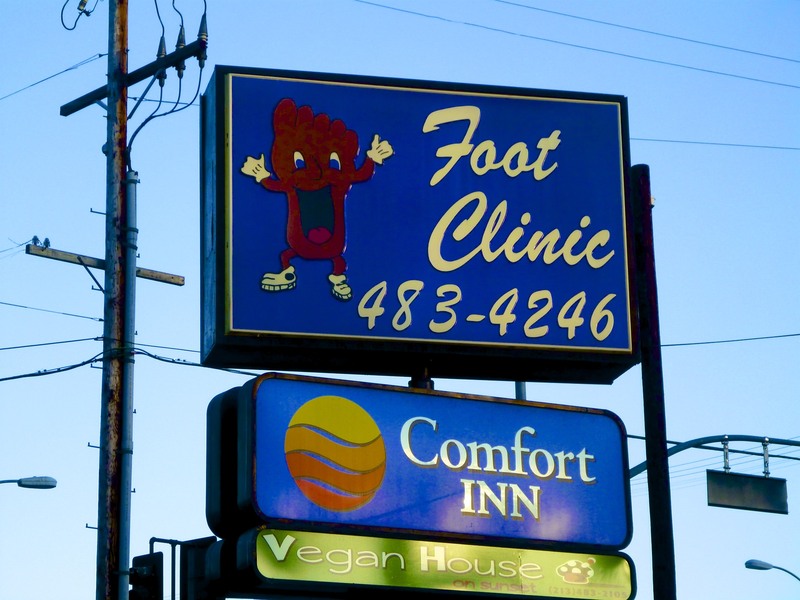 The happy foot smiled down. Turned into dinner at a hipster pizza place so new they had us buy our own caguamas at the liquor store across the parking lot to be drunk on the down low. Our server provided mason jars and a wink. No liquor license yet. 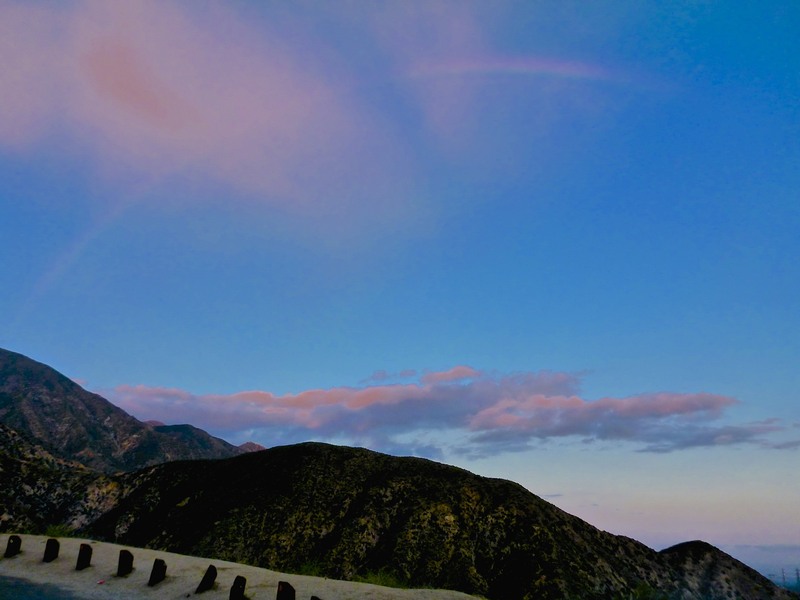 The evening somehow ended up in the Angeles Forest having a scrounged campfire and talking until three in the morning. In LA, no one is afraid of the elements. In my car, I had a light cardigan and knew I would be fine in the mountains. It’s May. It couldn’t possibly get colder that 60. What is it about this place? Four million people live here all crushed up together. Each one struggling for space and sunlight enough to thrive. Somehow all we agree on is to leave each other alone beyond the eye contact and smile required when turning left on an arrow. Often, I find it overwhelming. However, in this companionable solitude a magnificent oddness creeps in. 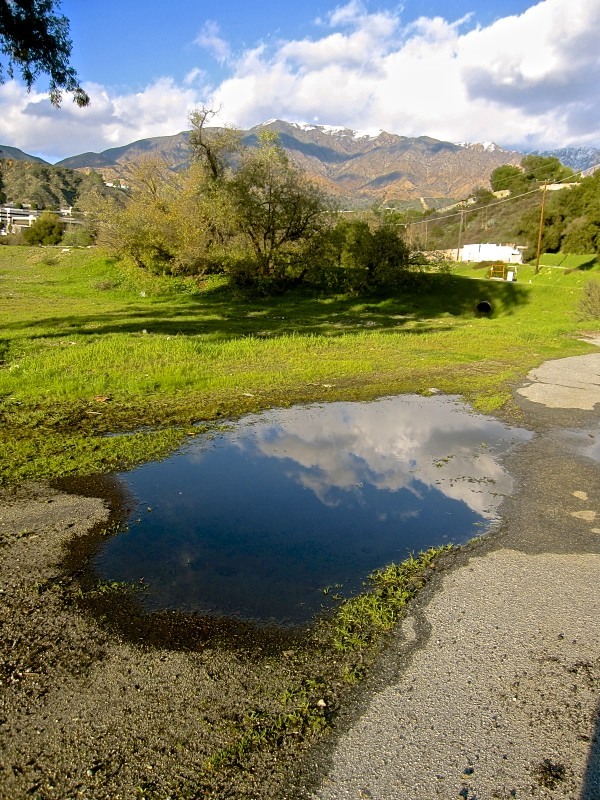 Back in the Day Water Fell From the Sky and Created Mirrors on the Pavement. This is the place I am from. These are the rules that I understand. I cannot wait for the summer. But every time I prepare to leave I am reminded of just how unlikely I am to make sense outside of my very specific context. Europe, I’m coming for you. You can call it what you want. 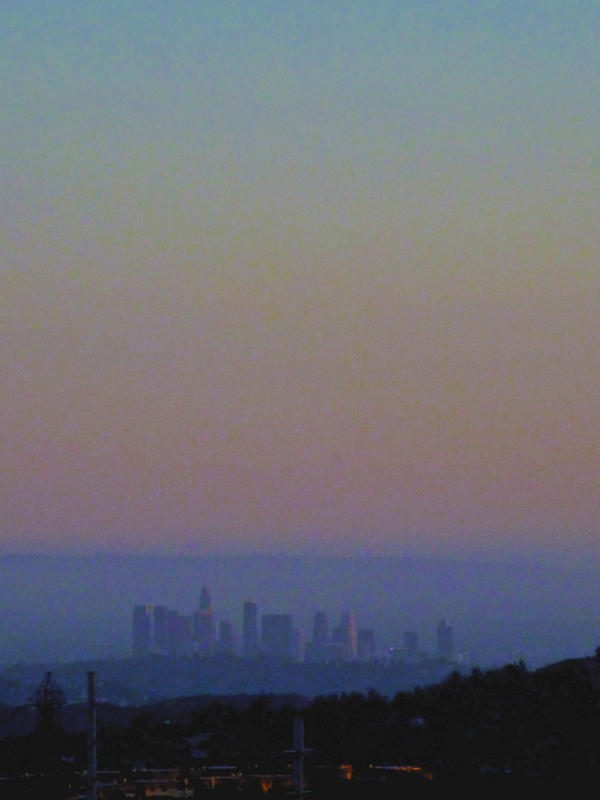 Call it Magical Realism, but I’m bringing Los Angeles with me.